EXCLUSIVE TO CURATED-CROWD.COM. The piece is luminous and delightfully feminine. Juxtaposing varied cut coloured gemstones perfectly complement the decorative feather design full of life and movement. A true statement piece with a wow factor. 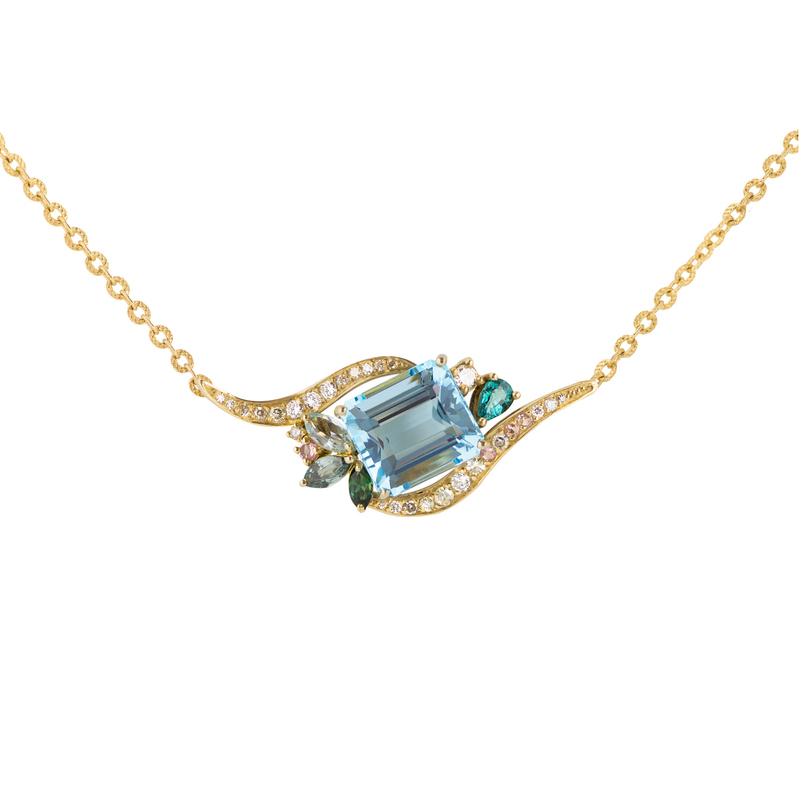 Aquamarine 6.7ct, diamonds, sapphires, tourmalines, beryl.